Hollywood actor Martin Sheen was in Malta to watch the national premiere of his latest film, The Way, directed and written by his son Emilio Estevez. After patiently signing autographs for fans – Sheen made his way up to Cinema One, packed with punters who by attending had given a donation to the Peace Lab in Ħal Far. The event was organised on the initiative of Prof. Kmiec to raise funds for the Peace Lab in Hal Far, which provides shelter to asylum seekers and has never asked for funding since it was set up in 1971. It is rare for a movie to be premiered in Malta before the US and, in this case, every European country except for Spain, where it was shot, according to Charles Pace, managing director of KRS, which had also been involved in the organisation together with Icon Film Distributors. Introduced by Prof. Kmiec as a “fellow parishioner, a neighbour from California and a distinguished actor”, Mr Sheen said the film was special to him as it was written and directed by his son Emilio, who in turn was inspired by his own son, Taylor, who filled in for his father during the premiere. 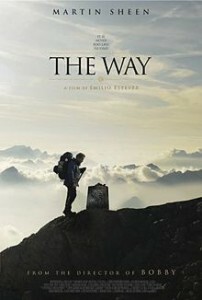 “It is a father and son journey across the Camino de Santiago de Compostella in Spain, but it is equally a voyage of the interior. It is an effort to unite the will of the spirit to the work of the flesh,” Mr Sheen, a devout Catholic said, adding: “Buen camino (have a good walk)”. Prior to the screening, Mr. Sheen toured the Peace Lab in Hal Far and met migrants. 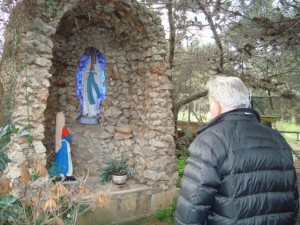 He was shown around by the founder-director, Fr Dionisius Mintoff OFM and the US Ambassador Douglas Kmiec. The event marks two firsts: the first time the Peace Lab in Ħal Far, which provides shelter to asylum seekers, has ever asked for funding since it was set up in 1971 and the first time international film stars are attending a local premiere in over 30 years.